Bacterial infections are a major cause of deaths and illnesses across the world. The rise in antibiotic resistance in bacteria is therefore a growing health concern, highlighted frequently in the mass media. Current government research priorities include the development of alternatives to common antibiotics. The team of microbiologists led by Andrey Karlyshev, Professor of microbiology at Kingston University, has successfully completed a genome sequence of a particular bacterial probiotic strain, which shows remarkable antimicrobial activities. In particular, these bacteria are efficient in fighting Campylobacter infection, which has also become a global health problem. Professor Karlyshev and his team used highly specialist genome sequencing technology available within the University’s Faculty of Science Engineering and Computing to generate a draft version of the genome of this strain. Despite covering the entire genome, this contained a number of large fragments. 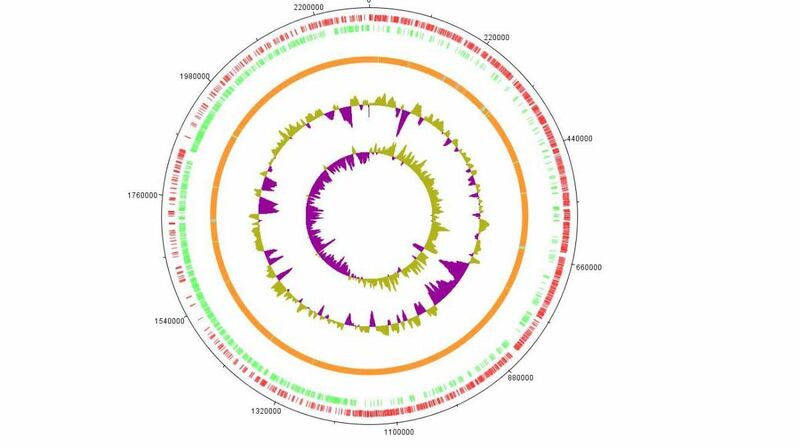 Joining these fragments together and the construction of a complete circular sequence was a very challenging task, complicated by a large number of repeats present in this genome. The research, which was done using a wide range number of bioinformatics tools, as well as additional recently developed methods such as OpGen optical mapping and PacBio sequencing, took over one year to complete. The fact that there has been just one new genome sequence of this microorganism reported in the last five years is testament to the enormity of the team’s work. This is the first complete genome sequence produced at Kingston University. Professor Karlyshev studies in the area of molecular microbiology have been published in a number of high ranking journals. He co-authored two groundbreaking research articles in Nature reporting the first completed genome sequences of human pathogens Campylobacter jejuni and Yersinia pestis (a causative agent of plague). He has worked as Professor of microbiology at Kingston University since 2008. Professor Karlyshev says: “Despite recent revolutionary developments in the genome sequencing technology, production of complete genome sequences remains a challenging task.